Getting your sweat on is no small business—a quarter of members at multipurpose gyms paid more than $100 a month in 2014, while between 13 and 24 percent of people who worked out at smaller fitness studios shelled out more than $150 a month, according to stats from the International Health, Racquet & Sportsclub Association (IHRSA). But staying fit doesn't have to break the bank; by joining at a smart time or choosing a less traditional gym membership, you can reap major savings. Read on for tips on how to slim down without shrinking your wallet. 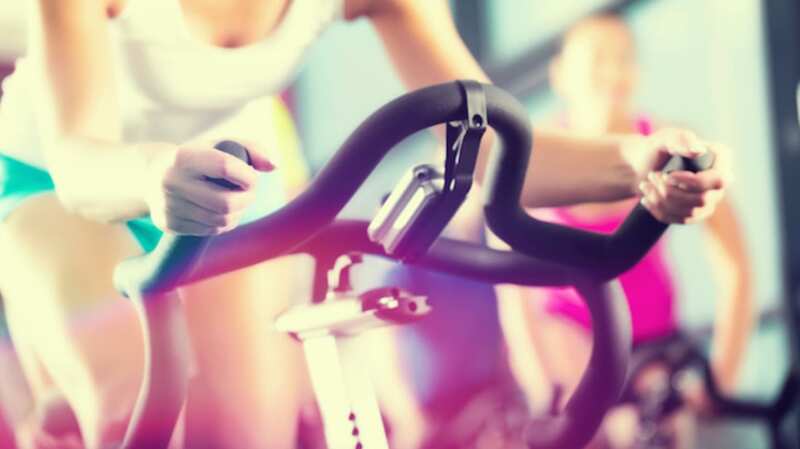 Boutique-style fitness studios (think Barry’s Bootcamp, Orangetheory, and Flywheel) are all the rage and a fun way to work out, but they can take a big hit to your bottom line: Monthly dues range from $80 to $140, says the IHRSA. If you’re happy to take a variety of classes at a traditional box gym, you’ll save—memberships average between $55 and $125. Better yet, go for a nonprofit like a YMCA; about half of nonprofit-gym members pay less than $25 a month. Before you sign a contract, ask if your gym will sell you a group of sessions rather than a regular monthly membership. Gym-goers can pay up to 70 percent more per session with a monthly membership than a pack of workouts, according to a study from the University of California at Berkeley [PDF]—and it can cost them $600 in lost savings over the course of their membership. In general, it’s smarter to join at the end of a month. Gyms often have goals about recruiting a number of new members, and as each month nears the end, they're more likely to give a deal to meet those quotas. It's much better, say, to join at the end of December than the first week of January (when gyms are already packed with new members and employees feel less incentive to get more to sign up). If you’re into classes, consider buying packs of sessions at a boutique fitness outpost rather than an unlimited monthly membership at a gym or studio. A monthly membership at a smaller studio is pricey if you don’t go all the time; if your workouts get less frequent, buying your sessions in packs can be a smarter option because you don’t have to use all your sessions by the end of the month—they usually won’t expire. Sign up for email blasts from local gyms and watch for a message promoting a waived-initiation fee (you could save hundreds) or other deal for joining. And whether you’re going for a membership at a traditional gym or a small studio, check out flash-sale websites like Living Social, Gilt City, and Groupon—they often run fitness specials that give you gym access for a fraction of the regular cost. Many traditional fitness centers will give you a multi-day free trial to test-drive their facilities. Have lots of gyms in your area? You could try out several and get a few months of workouts without dropping a dollar. If you like to vary your workouts and try the latest fitness trends, look into ClassPass. The company has various membership plans that get you discounted access to the top fitness studios in your city. Ask if the gym you’re joining offers a reduced-price membership if you work out during slow times of the day. Or check out the startup company Dibs (which is in a handful of studios now with plans to expand soon); it sells spots in classes that vary in price based on demand. So, for instance, if you can swing a workout in the middle of a Wednesday, you can snag your space for less money than one in a packed session during pre-work or evening hours would cost. If you’re going out of town for an extended period, ask your gym if you can freeze your membership while you’re away. There may be a small fee to put your account on hold, but it’ll likely be much cheaper than the cost of a full month or two of dues.